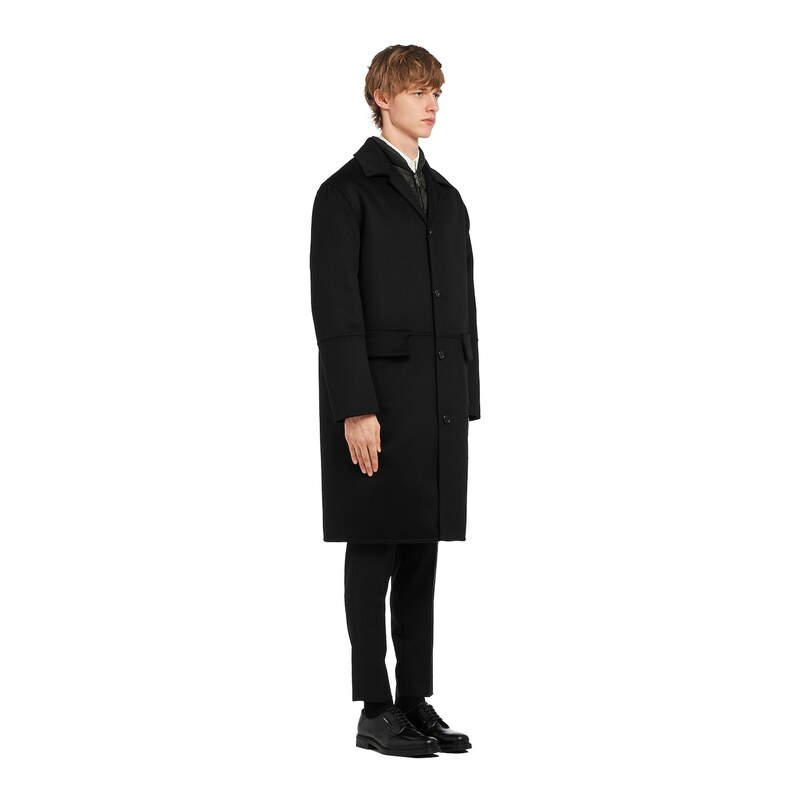 This coat has a removable padded lining that doubles as a puffer jacket. 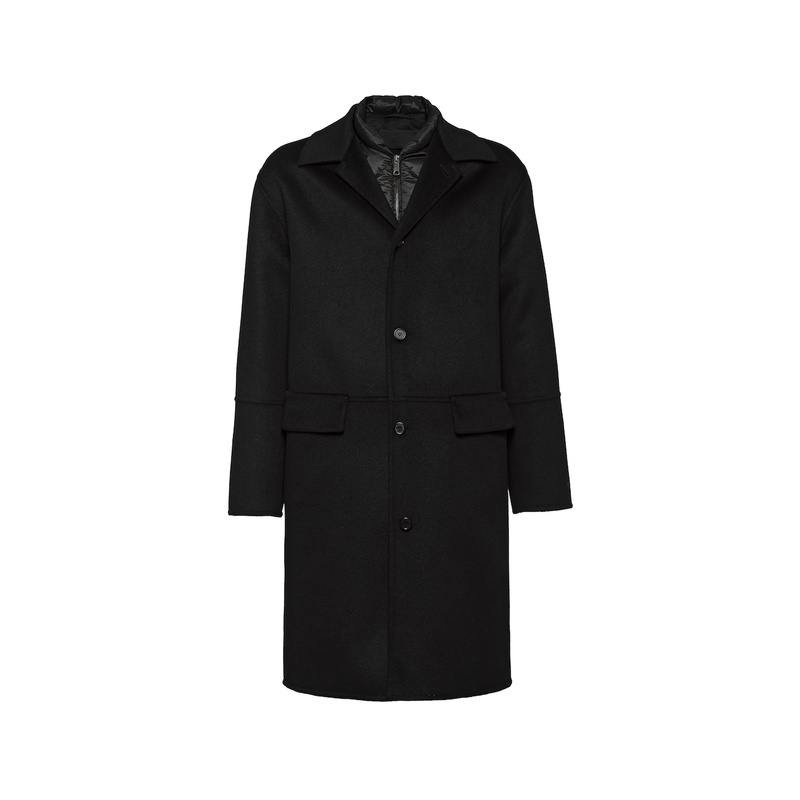 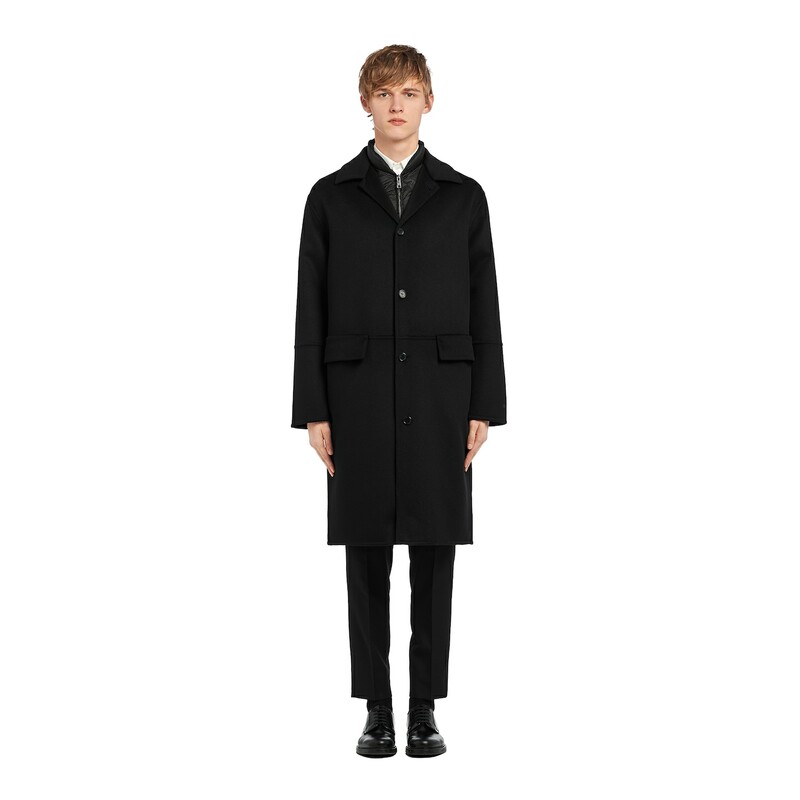 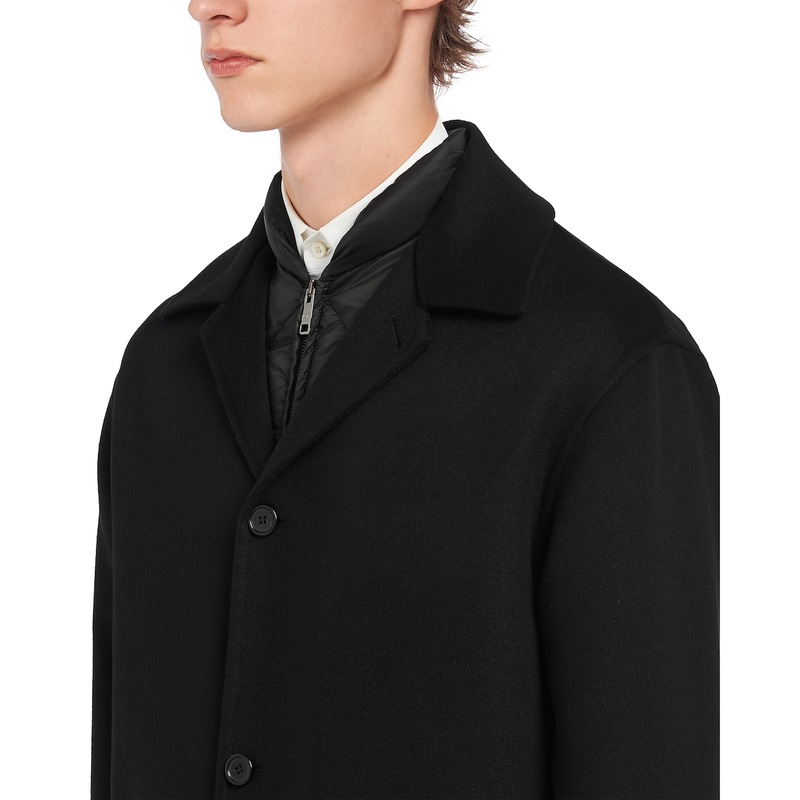 The oversized coat features top-stitching on the sleeves and at the waist. 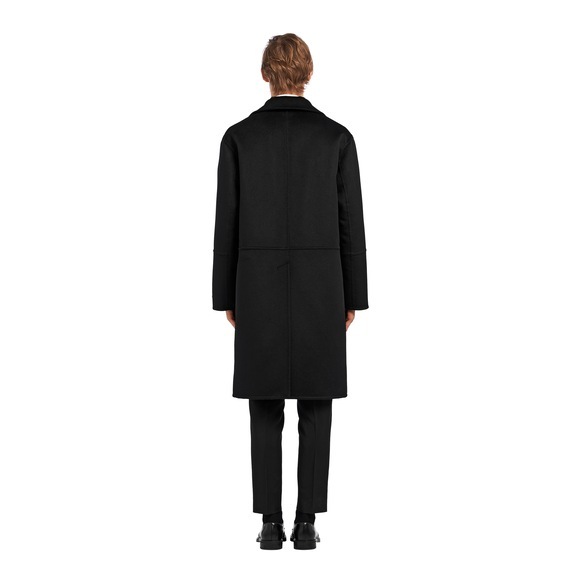 It is made of virgin wool and angora.